Bordia is currently a Professor in the Materials Science and Engineering Department at Clemson University in Clemson, SC. Before this, he was a faculty member in the Materials Science and Engineering Department at the University of Washington (UW). From 1998 to 2005, he was the Chairman of his Department at UW. He worked as a Research Scientist in the Central Research and Development of DuPont Co. from 1986 to 1991. He has also had Visiting/Guest Professor appointments at the Indian Institute of Technology, Kanpur, India; Indian Institute of Science, Bangalore, India; and Friedrich-Alexander Universität, Erlangen-Nürnberg, Germany. He received his undergraduate degree from Indian Institute of Technology, Kanpur and his M.S. and Ph.D. from Cornell University in Materials Science and Engineering. His research is at the intersection of materials and mechanics and is focused on fundamental and applied studies in the processing and properties of complex material systems for energy, environmental, and medical applications. Current emphasis is on ceramics, composites, multilayered, and porous materials. He has authored or co-authored over 120 peer-reviewed technical publications and has presented over 250 invited lectures and seminars. McMahon Lecturer, Alfred University (2013). Outstanding Educator of the Year Award of the American Ceramic Society (2012). Selected as an Academician by the World Academy of Ceramics (2012). 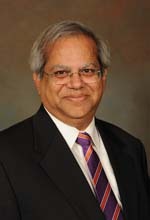 Fellow of the Indian Institute of Metals (2010). Distinguished Professor selected jointly by Mexican Academy of Science (AMC) and the Mexico-United State Foundation for Science (FUMEC) (2012). Co-Chair of the International Conference on Advances in Sintering Science and Technology, (2008, 2011 and 2014). Humboldt Research Award for Senior Scientists, Alexander von Humboldt Foundation, Germany (2007). Jauffres, D., Martin, C. L., Lichtner, A., & Bordia, R. K. (2012). Simulation of the elastic properties of porous ceramics with realistic microstructure. Modelling and Simulation in Materials Science and Engineering, 20(4), 045009-045027. Wang, K., Günthner, M., Motz, G., Flinn, B. D., & Bordia, R. K. (2013). Control of surface energy of silicon oxynitride films. Langmuir, 29(9), 2889-2896. Mitra, J., Ghosh, M., Bordia, R. K., & Sharma, A. (2013). Photoluminescent electrospun submicron fibers of hybrid organosiloxane and serived ailica. RSC Advances, 3(20), 7591-7600. Dandeneau, C. S., Bodick, T. W., Bordia, R. K., & Ohuchi, F. S. (2013). Thermoelectric properties of reduced polycrystalline Sr0.5Ba0.5Nb2O6 fabricated via solution combustion synthesis. Journal of the American Ceramic Society, 96(7), 2230-2237. Lichtner, A. Z., Jauffres, D., Martin, C. L, & Bordia, R. K. (2013). Processing of hierarchical and anisotropic porosity LSM-YSZ composites. Journal of the American Ceramic Society, 96(9) 2745-2753.